The Crafts Council is proud to support Artsmark, Arts Council England’s creative quality standard for schools. The Crafts Council’s vision is that every child has a chance to discover their practical abilities, develop their creative talents, and become a maker of the future. As an Artsmark Partner, we support schools working towards Artsmark, as well as those that currently hold Artsmark status. 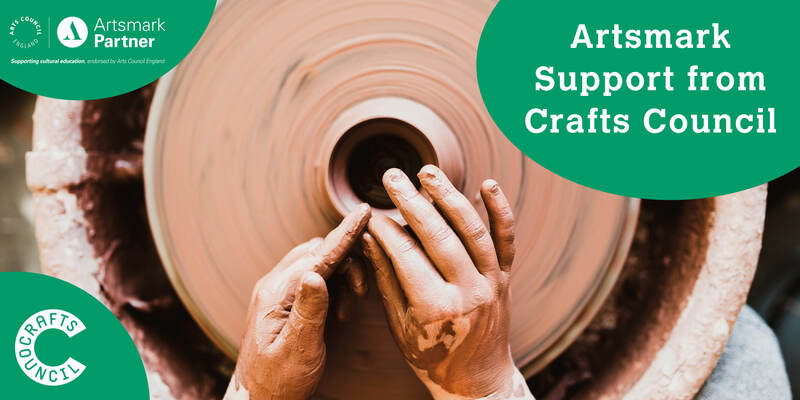 We believe craft and making should play a central role in every child’s creative education and we offer support, guidance and practical resources to help schools make this a reality. Our resources are free to everyone, so if you’re not an Artsmark school you’re still welcome to use and enjoy them. If you’re using our craft resources to support the Artsmark offer at your school, we’d love to hear from you! Get in touch by emailing us.